When the Newcastle West food bank opened for the first time on the 14th March 2013 it provided food to around 30 people per week. It now has the unfortunate distinction of being the biggest in the UK, feeding around 55,000 this last year. The number 2 food bank in the country feeds around 10,000. In the six months from April to September the food bank fed almost 22,000 people, around half of which were children. 28% were those experiencing benefits problems. 35% were those actually in work but on low incomes, including many on part time or zero hours contracts. Hungry mouths need food, it's quite simple really. Here's how you can help. Together we might not be able to fix the problem, but we can certainly help Michael and his team at the West End Food Bank continue their incredible work. Do your usual shop with us, and at checkout select to make a donation to support the Newcastle West End Food Bank. For everything that you donate Ethical Superstore will also contribute 20%, together we can provide more. We will provide the food bank with tins, dried foods and other items that will be of use to those in need. 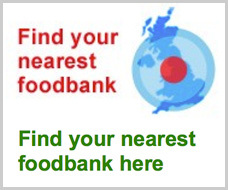 You can find out more about Newcastle West End Food Bank here, and if you'd like to find or help a food bank closer to you click here.